Residents in Kennesaw and the Town Center area have a new park to look forward to next year. 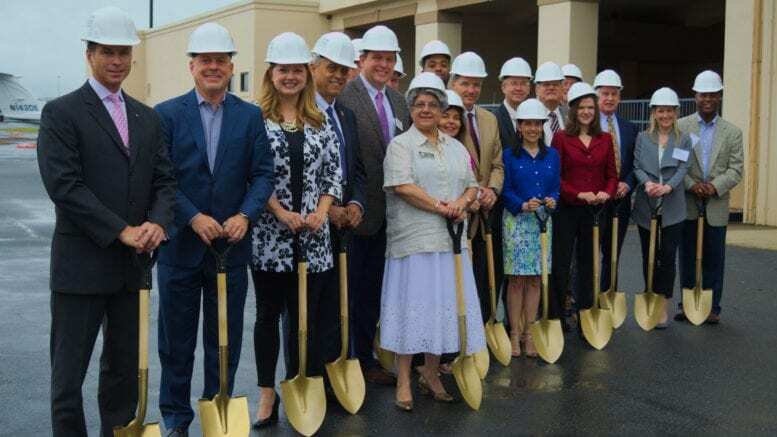 At a ceremony Tuesday, officials from the Town Center Community Improvement District, leaders of other local organizations, and county leaders including District 3 commissioner JoAnn Birrell and commission chairman Michael Boyce, symbolically broke ground on Aviation Park. This three-acre, flight-themed park will be located in Kennesaw next to the end of the Cobb County International Airport. Due to inclement weather, the ceremony was moved from the park’s future site to one of the airport’s hangars. Construction actually began in early May, and officials hope to cut the ribbon on the new park by the beginning of 2018. 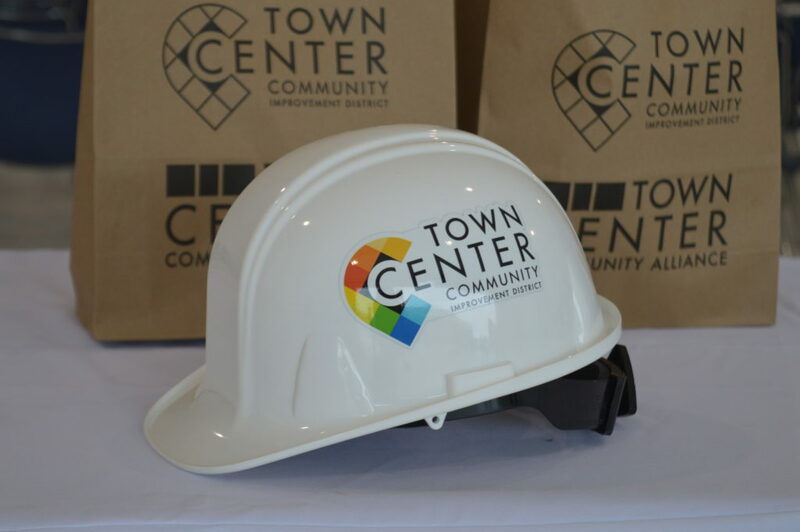 The $2 million project is the first of its kind for the Town Center CID. Focusing more on green space initiatives in its master plan, the CID is undertaking all of the planning, design, construction and funding for Aviation Park. The airplane-centric playground will include a rubber mock runway underneath a plane made of ropes and cables that children can climb. Spinner bowls will replicate the lights placed along a real runway, and the restrooms will have a feature that mimics the old control towers used by the airport. Modern amenities will also include an interactive play system that combines electronic and physical activity. Tracy Rathbone, executive director of the Town Center CID, said that the decision to make it a flight-themed park was an easy one. For some, the aerial motif was grounded in personal experience. That memory turned into the vision for Aviation Park, which is soon to be a reality for countless families in the area. Keappler hopes that the park, along with the CID’s other initiatives, will shift the perspective of the Town Center area from commercial and industrial to a more community-oriented place for residents. Several county officials attended the ceremony as well. 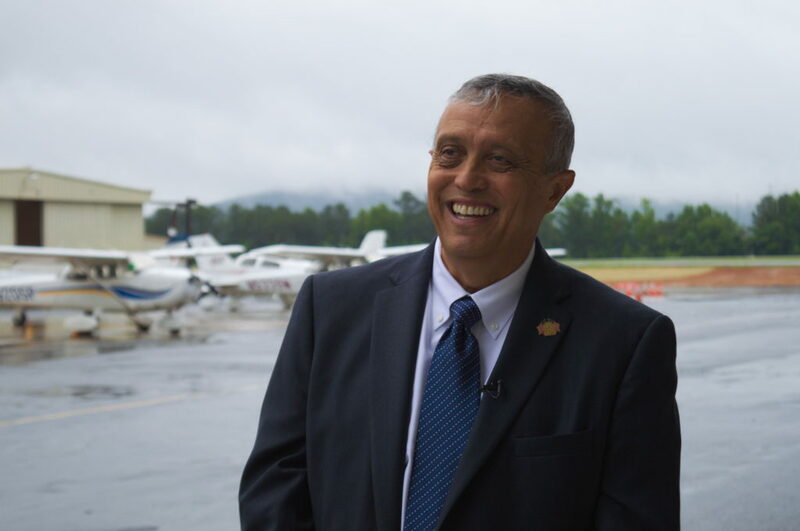 Cobb County Chairman Mike Boyce has his own personal connection to aviation: he was a pilot in the Marine Corps. One of his favorite parts about the new park is the open green space intended for viewing takeoffs. “I think it’s just a really great idea to put a park right at the approach end of the runway so people can watch airplanes coming in and landing,” Boyce said. He is also a fan of the bike sharing program implemented by the Town Center CID, Zagster, that has a docking station near the new park.